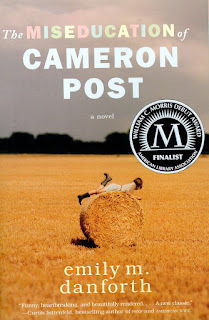 Summary (from the inside flap of the book): When Cameron Post's parents die suddenly in a car crash, her shocking first thought is relief. Relief that they will never know that, hours earlier, she had been kissing a girl. But that relief doesn't last, and Cam is soon forced to move in with her conservative aunt Ruth and her well-intentioned but hopelessly old-fashioned grandmother. She knows that from this point on, her life will forever be different. Survival in Miles City, Montana, means blending in and leaving well enough alone (as her grandmother might say), and Cam becomes an expert at both. Then Coley Taylor moves to town. Beautiful, pickup-driving Coley is a perfect cowgirl with the perfect boyfriend to match. She and Cam forge an unexpected and intense friendship--one that seems to leave room for something more to emerge. But just as that starts to seem like a real possibility, ultra-religious Aunt Ruth takes drastic action to "fix" her niece, bringing Cam face-to-face with the cost of denying her true self--even if she's not exactly sure who that is. 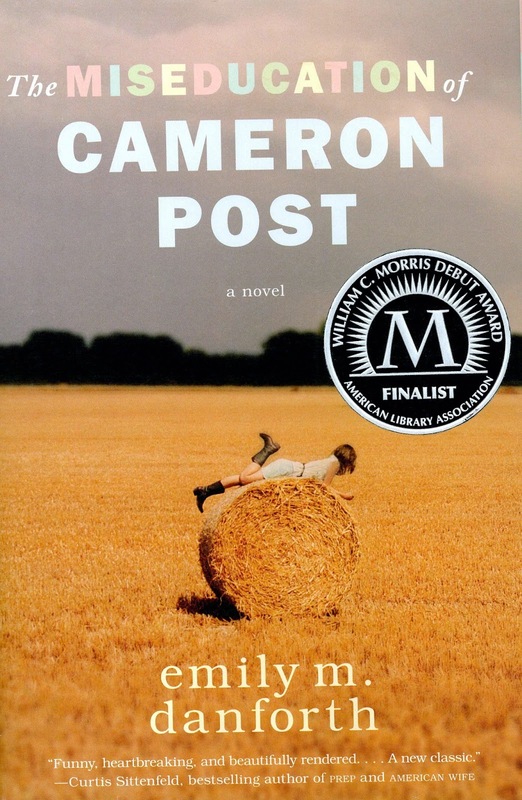 Review: The Miseducation of Cameron Post covers a lot of ground. In a nutshell, it deals with LGBTQ issues, friendship, the death of parents, coming-of-age, Christianity, and family dynamics. 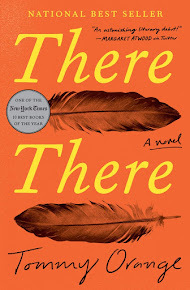 That's a lot, but Emily M. Danforth weaves it all together in a seamless story that pulls the reader in from the start. There is a growing amount of LGBTQ YA literature out there these days, which is great. However, some of it seems to thrive on stereotypes and one of the things I liked best about this novel is that it doesn't. Cam is a normal freshman in high school with friends, school worries, peer pressure and temptation (which she gives into), and dating. But Jane is also trying to figure out who she likes: boys or girls. Cam puts up with the small town gossip and testing the waters, but she has an extra issue to deal with: her aunt's conservative Christianity. While the novel deals with Aunt Ruth and Cameron's conflicting ideas and points of view, it also shows that they love each other and care about each other's well-being. Cameron's time at God's Promise is fascinating as the leaders try to "fix" the gay students in their charge. The author's bias does come out as she repeatedly has Cam and the other "disciples" show and say that they can't be fixed. I think this is a well done novel that deals with a number of important issues for teens.